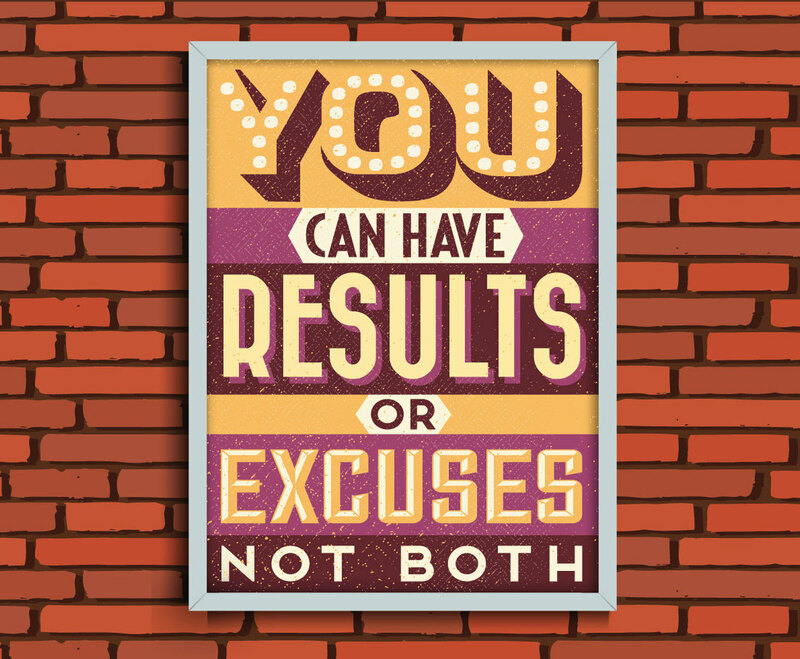 If you want results, you can't make excuses. Remind yourself with this colorful illustration! This image is available on Freevector.com thanks to Vintage Vectors Studio.